Back to School Must Haves + Catching Up on Summer! This has been an incredible summer filled with firsts for me! If you were wondering where I went off to, homeownership would be the answer! I spent my summer moving, working on my wonderful house with my husband and treating private clients. I also spent most of the beginning of August walking past the school supplies in Target with my eyes closed! However, I'm now in the school spirit! I'm ready for fall, for a new school year, and to see my kiddos! I'm all about implementing a behavioral modification plan, and my whole body listening rocket ship does just that in a fun way. Talk to your kiddos about whole body listening and then utilize the rocket all year round. Finding a way to implement carryover in speech is super important to me. I could cringe when a child is asked what they did in speech and they say "played games"!!! 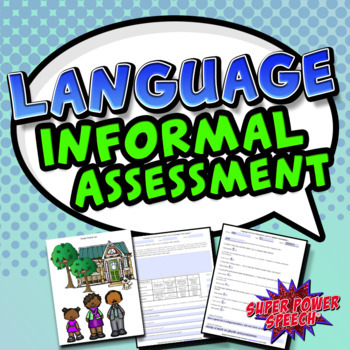 Use this fun way to answer questions and earn stickers at the end of your sessions as an interactive exit-slip strategy! Oh, and it's a freebie! I do NOT stop using this all year-round! It is so phenomenal and was easily one of the best things I've purchased on TpT. Not to mention you can do the entire thing on your computer and then it prints out the report for you! This thing is invaluable! 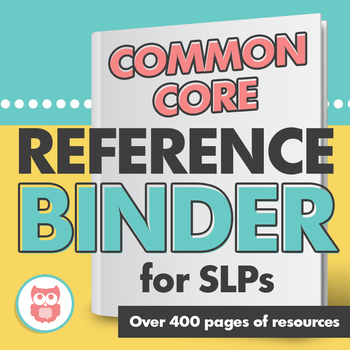 To be able to flip through and have all of the standards there, organized, and speech-oriented is fantastic. I use this constantly whether I'm writing goals, lesson plans, or just referencing it for curriculum-based purposes. It is definitely an investment, but so worthwhile. I'm constantly searching for new ways to freshen up my articulation sessions and these really do the trick! I use the "make dice lite" app on the iPad so that we don't lose any dice, and so that it's tech-y! 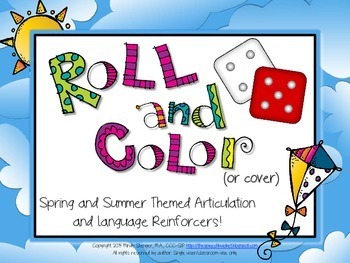 We basically roll, say, color! It's brilliantly simple and reinforcing. I mean, the truth is I just love anything that Meredith makes! She has awesome ideas and her activities are FREE! 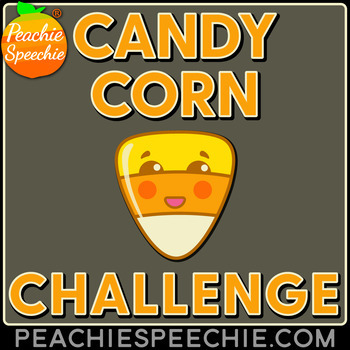 This one is so reinforcing because you can either color them in, or use the actual candy/object to fill the board. I let my kiddos take home whatever they put on the board for later. Plus, you can get 100 tries from them! This thing is just great! So specific to what we do and need as SLPs! I like to buy it and then have it printed and bound at FedEx. You actually end up saving money doing this and you don't have any excess items that you don't need! Jenn has a ton of other awesome activities so be sure to check her out! 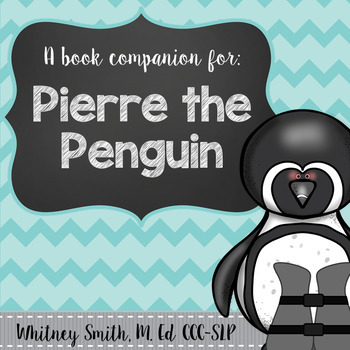 Whitney has some really awesome comprehension packets, but this one happens to be my favorite because of the story! I urge you to check out her other products along with this one. She targets a TON including vocabulary, sequencing, inferencing, etc. Plus, the graphics she uses are great to laminate and use before, during, and after the story. I have used these books for every single season! 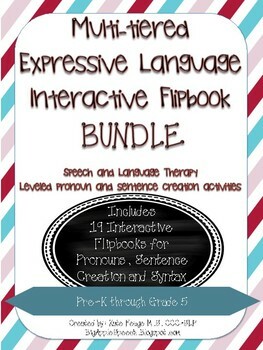 I LOVE LOVE LOVE them for use with AAC devices, students working on vocabulary, and/or students who are ELLs. They're repetitive, filled with vocabulary, and colorful! 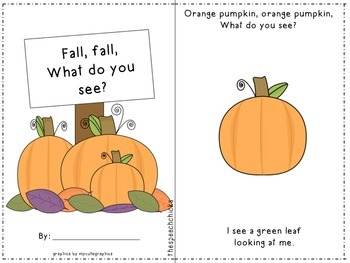 I can't wait to start fall vocabulary with these! These are so awesome because they include everyone's favorite - play doh! 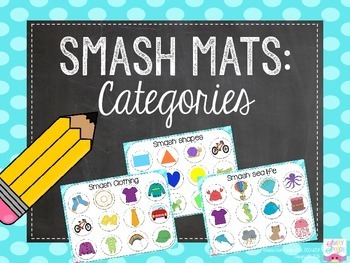 The mat that you will find the link to here is for categorization, but there so many others from Simply Speech that are awesome! I love these because they're super motivating for the kids, and it's something different! These are only some of my favorite back to school activities! 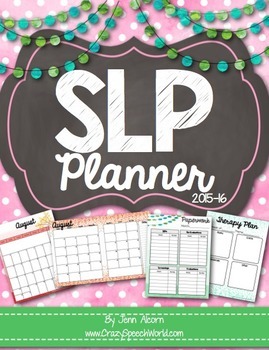 Check them out and the awesome SLPs that make them! Wishing you a wonderful school year!